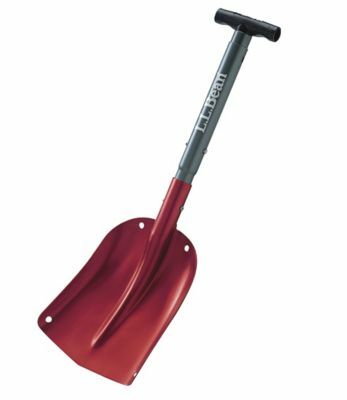 The Lifeline Sport utility shovel may be sold at places like Fred Meyer and WalMart, but don’t let its cheap price fool you. This is an excellent shovel. It is often marketed for auto and snowmobile use. But don’t let that fool you. It is just as, if not more, capable than many shovels many times its price, not to mention a lot lighter. 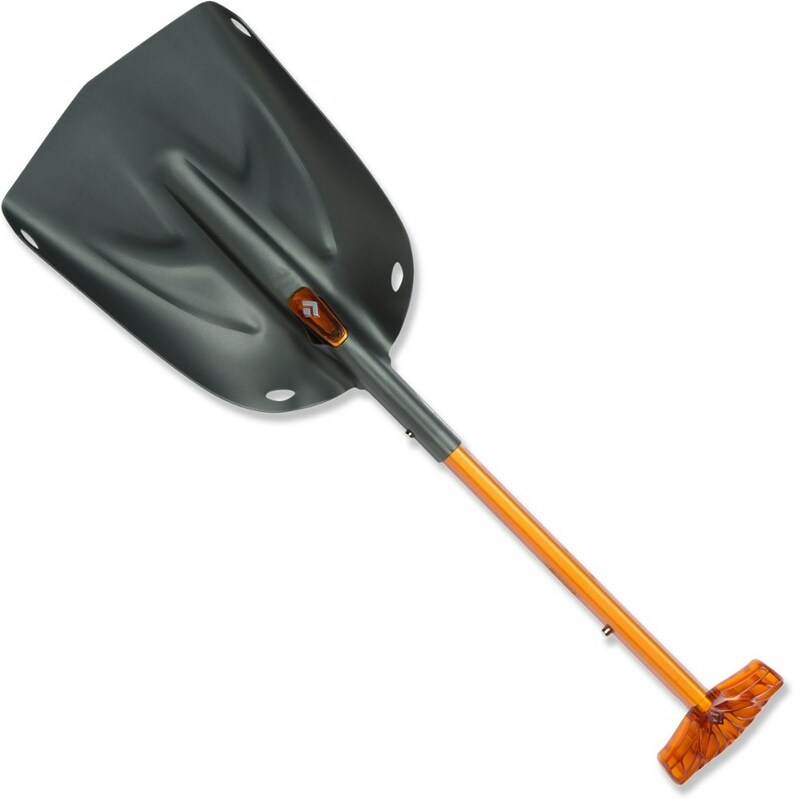 I would highly recommend this to anyone needing a good low cost lightweight backcountry shovel. 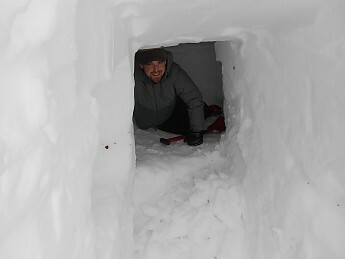 Works excellent in making snow caves. 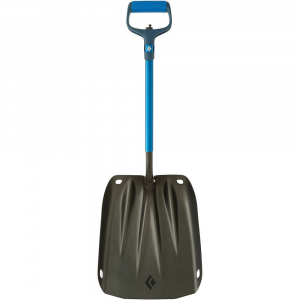 When I bought this I was looking for something lighter that my Voile Mini Shovel but not a compromise on strength. The funny thing is that I found it completely by accident. I was shopping for Mountain House meals at my local Fred Meyer. Then I noticed the bright red shovel with the vehicle safety accessories just down the aisle. The first thing I noticed was its super light weight and quality construction, then I noticed the price. At $15 I couldn’t pass it up so I grabbed the red one and took it to the snow that weekend. 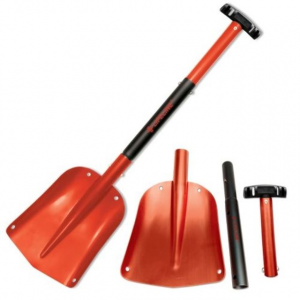 The Lifeline shovel comes with a very sharp edge which obviously cuts the snow extremely well allowing for fast digging through packed layers of snow and ice essential for making a snow cave or trench. In addition, the collapsible shaft continues to work well even after hours of hard use. The insides do not ice up collapsing with ease when done. The construction of the shovel is almost entirely of aluminum and a plastic handle. The head of the shovel is quality welded and all hardware is stainless steel so there are no parts to corrode. 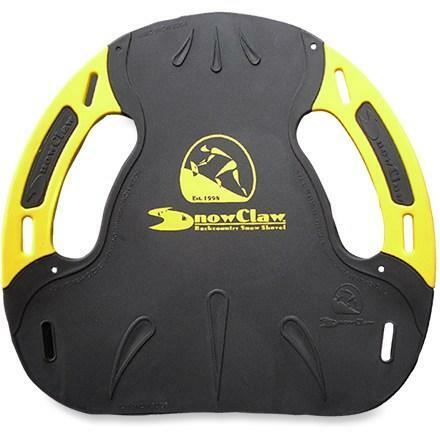 The Lifeline snow shovel adjusts from 25" to 33" long, good when digging a cave. 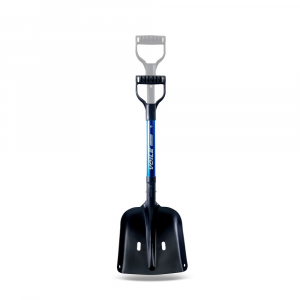 The shovel weighs in at a mere 1.3 lbs and breaks down to three separate pieces for packing or storage. I have been using this shovel for about a year now and shows signs of use mainly my fault. Granite tends to be tougher than aluminum but these scratches and dings do not diminish the shovel's performance. 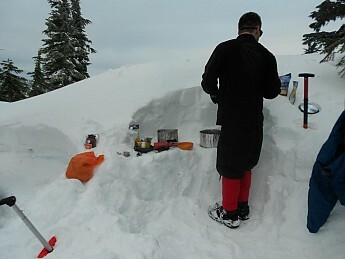 It has dug a couple snow caves, several kitchens, and a bunch of tent sites. 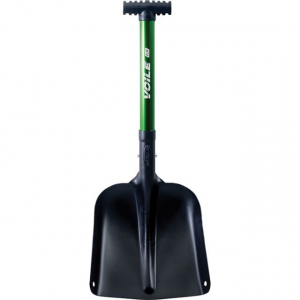 I would recommend this shovel to anyone who needs a lightweight/ low cost snow shovel that does not disappoint.